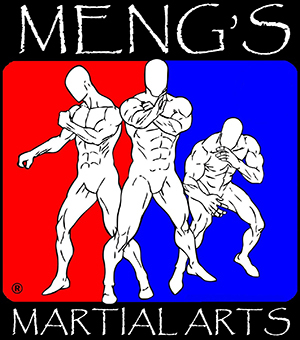 At Meng’s Martial Arts Martial arts training and educational training share a very important goal: to inspire attitudes and actions that turn students into motivated, confident, capable, and self-reliant leaders. In school, high test scores are rewarded with good grades. Martial arts develop skills and traits needed to meet diverse challenges, such as studying to earn good grades. Just a few are discipline, self-control, self-esteem, self-worth, courtesy, and respect for others. Kung Fu students make habits of these virtues through classes that focus on fitness, self-defense, and self-confidence. They practice these skills and traits at our facility, and then apply them at home, at school or work, and in the community. 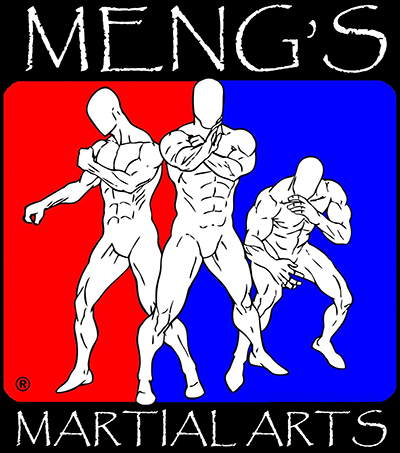 Martial art teachers take a genuine interest in every student and family. Most are active, respected civic leaders too, giving students many chances to give back to their cities and towns. Self-control is a vital trait both in school and in martial arts. In school, a student must pay attention to the teacher and not be distracted to learn the day’s lessons. Focus and concentration are vital to achievement in Kung Fu. Students practice tuning out distractions, working under pressure, and focusing on the immediate activity. Practice gradually becomes habit, carrying over into other settings – especially the classroom. Self-esteem is improved through the process of (1) setting and reaching goals and (2) earning rewards for the work that achieved them. In school, a goal might be to read a book chapter by a deadline, rewarded by a good grade on a test of that material. In kung fu, the goal might be learning a series of moves, rewarded by a belt stripe, uniform star, or higher rank. Students work toward large goals by setting smaller goals that build upon each other, just as knowledge is acquired in school. Courtesy shows respect, care, thankfulness, and humility. Speaking and acting with courtesy builds a sense of community. It’s shown in school by obeying the teacher, completing assignments, and helping classmates. Martial arts students show respect by bowing, applauding peers, following commands, and thanking parents as class ends. Kung Fu students typically become confident, capable, and self-reliant leaders as their training progresses. They develop helpful values and skills over time through continual practice. By showing respect to their teachers and classmates, learning to listen and respond properly, and being “open” to learning new things, their improved attitudes and actions make them better students – with higher grades – and more capable leaders.